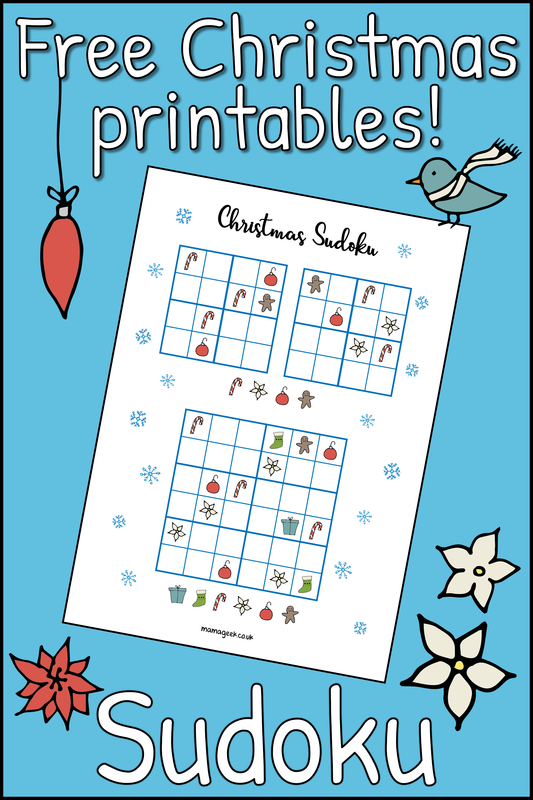 I’ve got another Christmas freebie printable for you today – or more accurately for your kids. 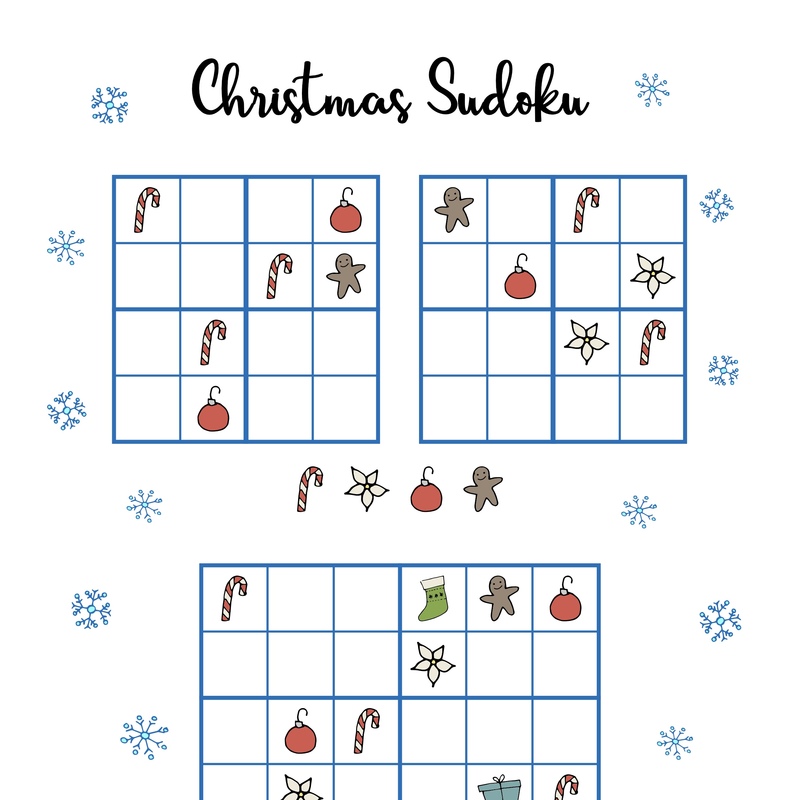 Lydia really loves doing sudoku puzzles, so I thought I would make some simple Christmas themed ones for her, and share them with you too. 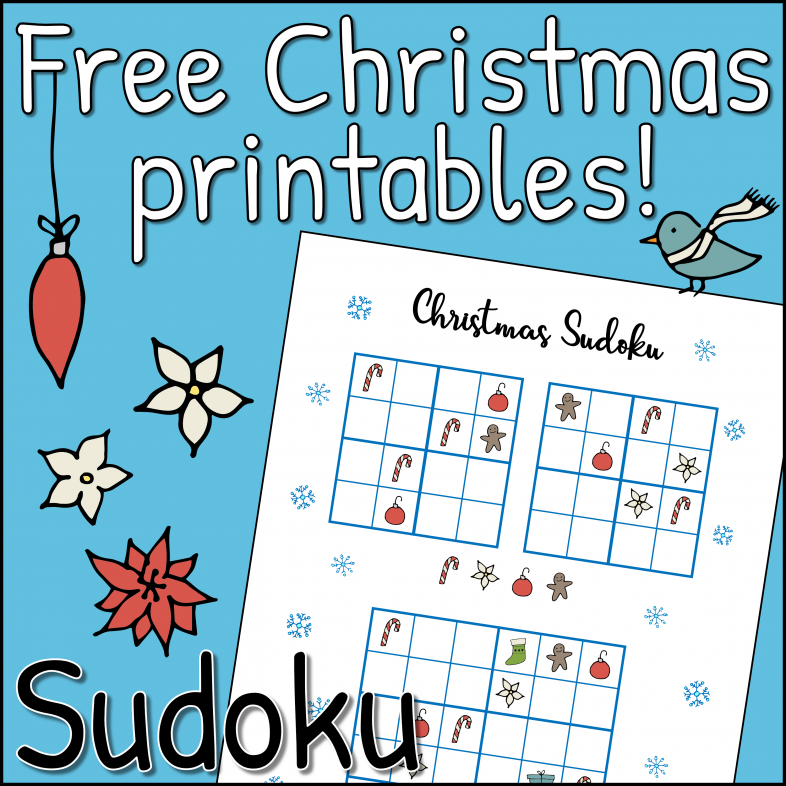 These are definitely ‘easy’ rated puzzles aimed at kids, but let me know in the comments if you want some similar festive ones which are trickier for adults in standard 9 x 9 blocks!